Phillip Alpha, Exo State, Ellie Lawson , Icone, June Voice and more. 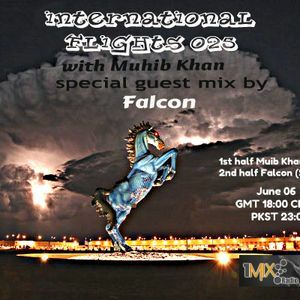 International Flights 025 with a special guest DJ & Trance Producer from Portland United States. Falcon one of the hottest producer of Enhanced Music Recordings. 1st Half Muhib Khan 2nd half Falcon.